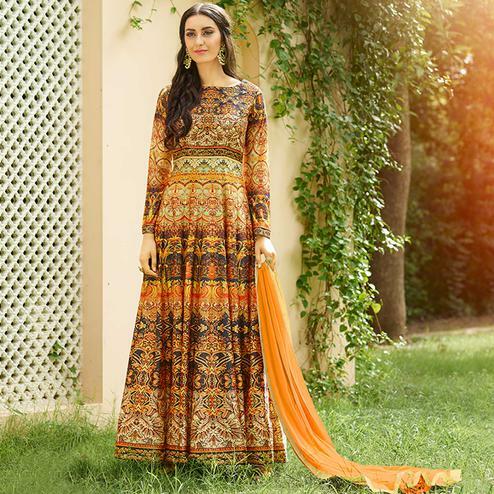 Display your beauty with simplicity & grace in this brown colored anarkali suit. 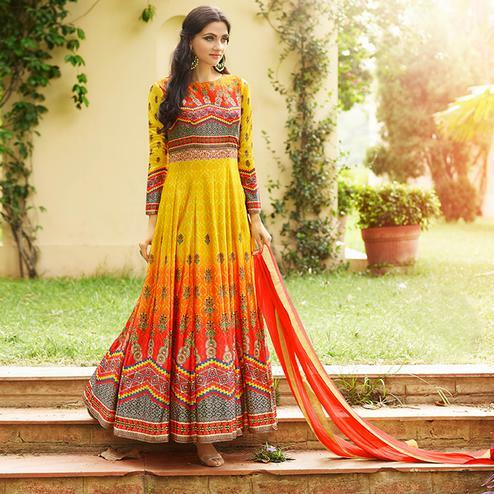 This attire is beautifully adorned with elegant print on the attire which makes it appear more graceful. 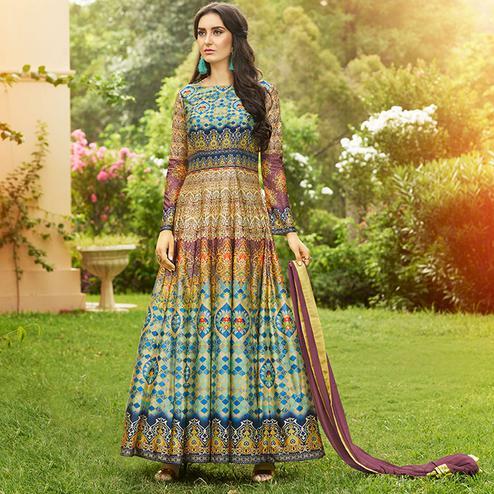 The top is made of jersey art silk fabric, comes along with santoon bottom along with netted dupatta. 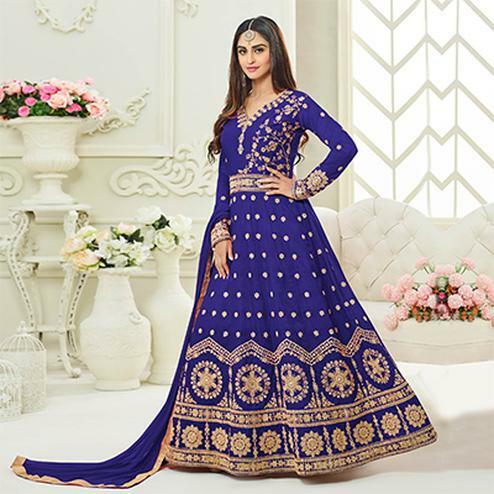 Women can buy this ethnic dress to wear for their upcoming wedding functions, social together and family occasions, where you want to be the limelight. Team it with ethnic accessories and heels to make your looks more beautiful.